All car, truck, RV, marine amplifiers and repeaters listed below are compatible with your Koodo service. Koodo Vehicle Signal Boosters for cars, trucks, RVs, boats and other vehicles. There is no denying that with advent of wireless telecommunication technology, the need for communication has increased considerably. In the past, people could only talk to their loved ones from far away through stationed telephones. That is how it was in the past. Needless to say, this is not the case in this present day anymore. Now, you will find it extremely necessary to talk on your Koodo phone to your boss even if you’re in the middle of the road and driving your way home. This is no longer surprising due to the fact that a lot of people nowadays are always on the go, with too many things to do, than they can handle in the finite limited amount of time in a day. Most of the time, busy professionals have to keep in touch with their colleagues on their Koodo phones after hours for important business-related reasons. These’re the main reasons why vehicles must be equipped with powerful signal boosters to boost Koodo cell phone reception. Are you in search of the most reliable Koodo signal booster for your car or truck? If your answer to that is ‘yes’, weBoost boosters for Koodo is what you definitely need. weBoost offers a wide variety of signal-boosting devices that will surely keep you in touch with people you need to talk to, even if you’re in the middle of the road. This signal-boosting device is capable of supporting a single voice or data transfer device when placed in its cradle booster. It offers up to 50 DB Gain (or higher) signal power for your mobile device while you’re driving through areas where “cell sites” are too far to provide a strong signal to maintain a cell phone call. As you drive your way to locations where cell towers are situated, you will notice a rapid increase in your phone's signal. This device is a complete set of signal booster for cars, trucks, minivans, and SUVs, which is perfect for your mobile phone. Allows any cellular device (iPhone, mobile enabled iPad, etc.) to boost voice and 3G data signal when placed in cradle. Amplifies signals both to, and from the cell tower. Boosts call and text, 2G as well as 3G data transfer capabilities. Enhances signal for vehicles: cars, trucks, vans, RVs, and boats. Extends battery life of your cell phone. Reduces dropped calls, increases data speed, extends signal range, clear voice calls faster streaming. Up to 23 DB gain. What’s the latest with Koodo? Well, here it is – 4G smartphones! The Drive 4G-S boosts 4G in admition to 3G data and voice reception. You need not worry about the brand of smartphone you’re using. Whatever that is, you are sure to get it connected. 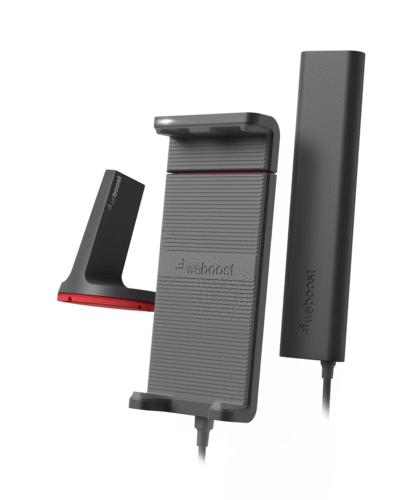 This 4G signal-boosting gadget is intelligently designed to work compatibly with any version of Android, Apple iPhone iOS, and Windows smartphones or superphones. Boost 4G LTE, 3G, talk & text, and high-speed internet on all phones with all carriers. Easy to install, complete DIY (do-it-yourself) kit. For a single user, phone must be in ‘cradle’. For vehicles: cars, trucks, vans, SUVs, RVs, and boats. Most affordable 4G LTE car cell phone signal booster. Up to 23 DB (decibel) gain. If you need an extremely powerful signal booster in your car, Koodo cell booster Drive 4G-M could be the one that you’re looking for! What is so amazing with this kit is that you do not have to be an expert technician to complete the installation process. 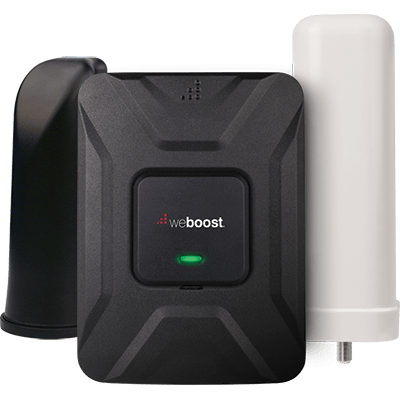 Check out the following features and discover how incredible this signal booster is! Boost 4G, talk & text, and basic 4G internet on all phones with all carriers. For multiple users, up to 4 people. Made for RVs, campers, and motorhomes. Maximum uplink power for wider range and faster uploads. Up to 50 dB (decibel) gain! Popular 4G-M car cell phone signal booster. Are you familiar with the “Wilson MobileMaxx 460111”? People who have used this device can attest to its incredible performance. But this is better than that. 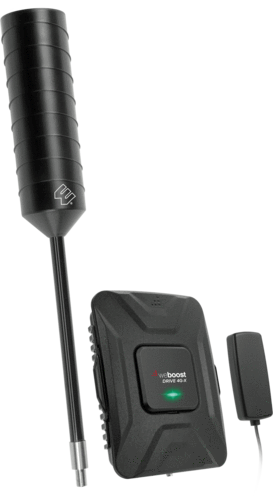 This is no other than the Koodo cell phone signal booster Drive 3G-X by weBoost. Do you want to know why it is one of the best signal boosters available in the market today? If you don’t know why, the following key features of this devices would help you understand. Boost 3G, talk & text, and basic 3G internet on all phones with all carriers. Up to 50 dB (decibel) Gain. Most powerful 3G car cell phone signal booster. Boost 4G LTE, 3G, talk & text, and fast 4G internet on all phones with all carriers. Most powerful 4G car cell phone signal booster. Why not keep your mobility and connectivity with you at home, in your car, and at work? This neat little booster is portable so you can use it at home, in your car, and at your workplace. Simply unplug from wall electrical source and use the car adapter provided for use in the car! Here are some standout features you should know about this portable signal-boosting device. For buildings: home or office, single office, home office (SOHO), desktop area. The only 2-in-1 3G cell phone signal booster for home and car. Up to 45 DB (decibel) gain. See? There are lots of incredible Koodo signal boosters for cars or trucks. Get your own signal booster today and make the most out of your mobile activities. Choose from the table at the top. Please contact us if you need any assistance. Thank you.